The Pomeranian (often known as a Pom, or more humorously, Pom Pom) is a breed of dog of the Spitz type, named for the Pomerania region in Central Europe (today part of eastern Germany and northern Poland). Classed as a toy dog breed because of its small size, the Pomeranian is descended from the larger Spitz type dogs, specifically the German Spitz. It has been determined by the Fédération Cynologique Internationale to be part of the German Spitz breed, and in many countries, they are known as the Zwergspitz (~Dwarf Spitz). The average life expectancy of a Pomeranian is 12 to 16 years. A well-bred dog on a good diet with appropriate exercise will have few health problems, and if kept trim and fit a Pomeranian is a sturdy dog. The breed does have similar health issues to many dog breeds, although some issues such as hip dysplasia are uncommon due to the Pomeranian's lightweight build. Some health issues can develop as a result of lack of attention to grooming, and teeth, ear and eye cleaning. With routine care these problems can be avoided. Merle colored dogs may suffer from mild to severe deafness, increased intraocular pressure, ametropia, microphthalmia and colobomas. Merle dogs born from parents who are also both merles may additionally suffer from abnormalities of the skeletal, cardiac and reproductive systems. In Pomeranians, a condition often called "black skin disease" occurs which is a combination of alopecia (hair loss) and hyperpigmentation (a darkening of the skin). Other names for this condition include wooly coat, coat funk, pseudo-Cushing's disease, or severe hair loss syndrome. 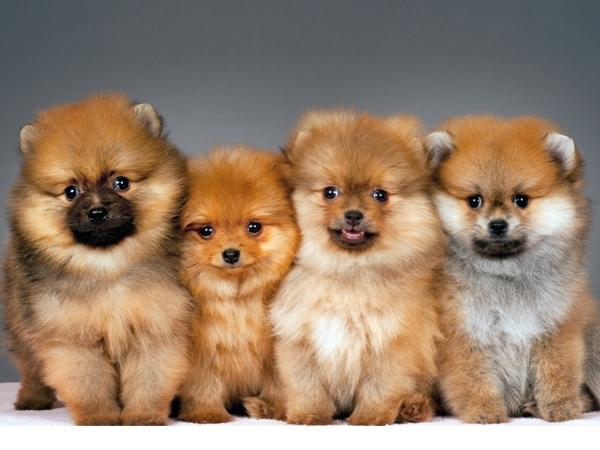 This condition affects male Pomeranians more than females, and may be inherited. Although most affected dogs show signs following puberty, it can occur at any age. Other conditions can mimic this condition including Cushing's syndrome, hypothyroidism, chronic skin infections, and reproductive hormone disorders.